Is achieving a fun, organized (and glam) laundry room possible? We’d like to think so. Then, when the sock drawer is echoing and the clothing piles are reaching summit levels, having a laundry room that is fabulous and functional will help motivate you to tackle the chore. 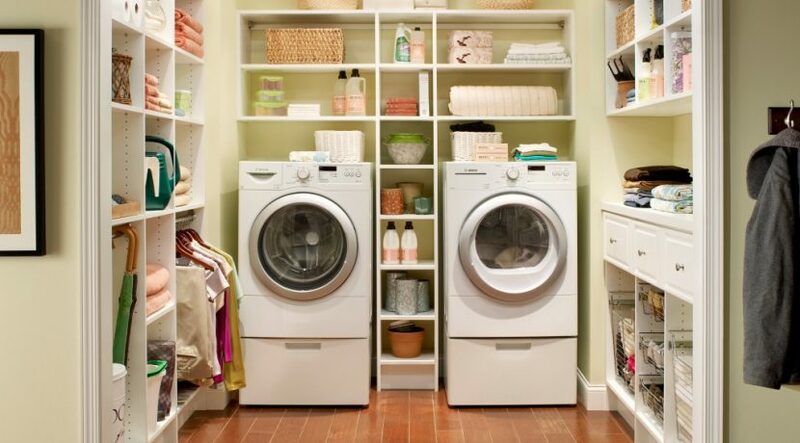 We’ve included some of our dream accessories in our list of ways you can make your laundry room more glamorous. Not all of them are available to consumers yet, but they are fun to think about and will serve as motivation to save your money for the day when they do hit the market. The LG Styler is a steam closet that will clean, press and de-germ your clothes, like a dry cleaner, but without the chemicals. It is available now through retailers such as Best Buy for around $2,000. An automatic clothes folder by FoldiMate promises to fold, hang, sanitize and even make clothes smell better. A conveyor belt with clips takes freshly dried clothes (except sheets, socks and skivvies) and flips them into folded perfection in under 30 seconds. Preorders are being accepted now via the website, with an estimated cost of $700-$850. But you don’t have to add a fancy new machine — or spend a lot of money — to give yourself a better laundry room right now. 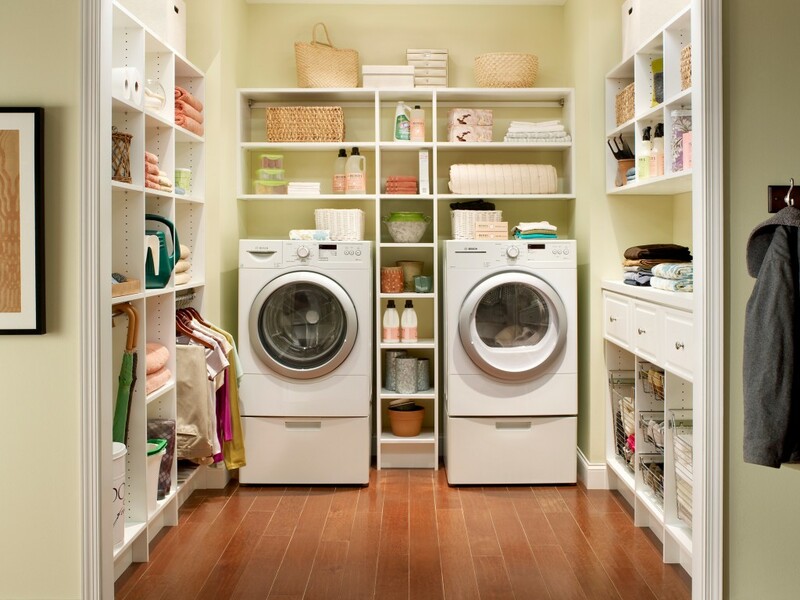 An organized laundry room is a key to reducing procrastination. We recommend adding shelves wherever possible to keep supplies in sight and within reach. If wall space is scarce, repurpose a bookshelf, ladder or stackable containers to help keep order among the chaos. On those shelves, you can add colorful containers that add a fun look to your utility zone. Wicker baskets are always a top choice because they camouflage dryer sheets and other laundry necessities, such as clothespins or fabric softener. Take a hint from the retail stores and their way of keeping hangers from taking on a life of their own. A freestanding hanger organizer will collect wire, plastic and wooden clothes holders for future use. These metal stackers are small and portable. Stick one next to your dryer for ease and convenience. One decorative trend that addresses the universal question “Where is the matching sock?” is a fun favorite. Those hanging boards with clips are useful as well as entertaining. Occasionally the mate actually appears, and we all have cause for celebration. Along the same lines as the sock locator are peg boards. You can reconfigure peg boards for any laundry need. Hang your delicates to dry (if there is no risk of stretching the garment), make impromptu shelving with several pegs in a row or stash a coin jar for all the loose change you find in the dryer. Copyright to the original publisher homeactions.